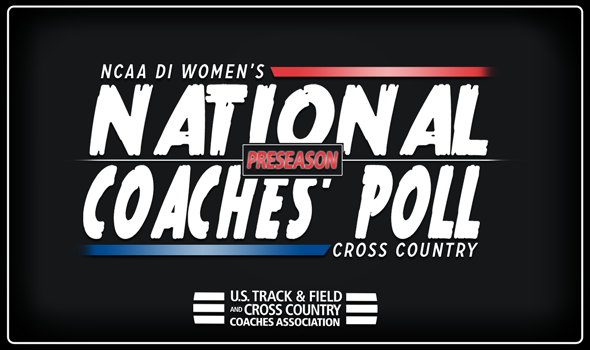 NEW ORLEANS – New Mexico, the defending NCAA Division I Cross Country champions, sit atop the 2018 Women’s Preseason National Rankings released by the U.S. Track & Field and Cross Country Coaches Association (USTFCCCA) on Tuesday. The Lady Lobos were unanimously selected as the top team in the country to start off the season and it is easy to see why with the loaded roster they return from last year. Leading the squad will be individual national champion and NCAA Championships record holder Ednah Kurgat, who went off to set the new record mark of 19:19.5 at the championship meet a year ago. She is joined by other top returners Weini Kelati (seventh at NCAAs) and Charlotte Prouse (12th). The program also added talented transfers in Adva Cohen, Hannah Nuttall and Emily Martin, among others. In total, New Mexico has five runners from the top 110 at the 2017 National Championships on its roster. As a program, the Lady Lobos have placed in the top-10 at NCAAs in eight consecutive seasons (the longest active streak in NCAA history) and is looking for its third national title in four years. Region mate Colorado was picked second and returns a talented squad as well. The Buffaloes welcome back six of their top-seven athletes from last year’s team that finished third overall at NCAAs. The unit gets back two All-Americans in Sage Hurta and Dani Jones as well as senior Mackenzie Caldwell who was an All-American in 2016. Stanford comes in at No. 3 in the poll as the Cardinal return five from last year’s team that finished fourth at NCAAs. To go with its strong core, Stanford added a ton of talent with the freshman class that they are bringing in. The group will be led by Fiona O’Keeffe (13th as an individual at last year’s NCAA meet), Elise Cranny (57th), Christina Aragon (67th) and Ella Donaghu (69th). Last season’s fourth-place showing was Stanford’s highest finish at NCAAs since a third-place performance in 2012. Oregon is slotted right behind them in the No. 4 spot after the squad reloaded with talent. After losing a portion of their squad to transfer and graduation, the Ducks came back with the addition of Philippa Bowden and two more top-20 NCAA transfers. The new group will be led by returners Carmela Cardama Baez (34th at NCAAs) and Jessica Hull (93rd). Boise State comes in as the No. 5. The Broncos will return five of seven from last year’s sixth-place NCAA team. The unit will be led by Allie Ostrander (4th at NCAAs) and Emily Venters (53rd). Clare O’Brien (77th), Alexis Fuller (122th) and Gracie Tostenson also look to be contributors. NC State enters the season as the No. 6 team in the country after an eighth-place finish at last year’s NCAAs. The Wolfpack return five of its top seven athletes which will be led by Beth Taye, Dominique Clairmonte and All-American Elly Henes. NC State added key transfers to go with their young and talented core to take another run at the national crown. The Wolfpack have advanced to NCAAs for the 31st time as a program last year, the most in NCAA history. Wisconsin would love nothing more than to make some noise this cross country season as the year runs through Madison. The Badgers are slotted at No. 7 and return six of their top seven to go with six newcomers for a group that finished 10th at NCAAs in 2017. The unit will be led by Amy Davis (55th at NCAAs) and Shaelyn Sorensen (59th). Villanova is slotted at No. 8 and will return its complete team from its 12th-place finishing unit at NCAAs to go with transfer Caroline Alcorta and talented incoming freshman Taryn O’Neill. Top returners include Bella Burda (65th at NCAAs) and Nicole Hutchinson (90th). Arkansas comes in at No. 9 and returns five of its top seven athletes from the team which finished 13th at NCAAs one season ago. To go with their top talent, Abby Gray returns from a redshirt season and the program added Katrina Robinson from New Zealand. The squad will be led by top returners Carina Viljoen, Taylor Werner, Lauren Gregory, Sydney Brown and Ashton Endsley. Utah State rounds out the top-10 and like most teams on this list returns a strong unit from the 2017 season including Alyssa Snyder who finished 25th at NCAAs during cross country and followed it with a fourth-place finishing during the outdoor season of track in the 10,000. The 11-20 spots are littered with top programs from the Big East (Providence at No. 11), Big Ten (Penn State at No. 12, Michigan at No. 13 and Michigan State at No. 15), Southern Conference (Furman at No. 14), West Coast Conference (BYU at No. 16), the Big 12 (Iowa State at No. 17), the Pac-12 (Washington at No. 18 and California at No. 20) and the SEC (Georgia at No. 19). It is the first time in program history that No. 14 Furman has started the year ranked. The Paladins finished second in last year’s Southeast Region and rode that momentum to a seventh-place performance at NCAAs. Furman returns five of its top seven along with adding key newcomers to the mix for a team with a young core. Georgia will be a team to watch in the No. 19 spot. The Bulldogs took 17th at NCAAs a year ago and return all five scorers from last year’s team. All-American sisters Samantha Drop (30th at NCAAs) and Jessica Drop (31st), junior Yanley Gomez and seniors Hailey Branch and Grace Tavani all return. It was the best finish for the program at NCAAs since 2006. Four teams that weren’t ranked in the final poll of the 2017 season join this one: Notre Dame at No. 23, Georgetown at No. 25, Texas at No. 27 and Ohio State at No. 29. The Big Ten had the most teams ranked in the top-30 with seven, which is exactly half of the total amount of teams that the conference fields. The Pac-12 was behind them with five, although they did have three of the top four programs in the nation. The ACC, Big 12, Big East and Mountain West each had three top-30 selections. The Mountain West squads all placed in the top-10. Also receiving votes were Portland, Virginia Tech, Colorado State, Florida State, Southern Methodist, Ole Miss, Utah and Princeton. Make sure to check back in throughout the season as a lot will change leading up to the 2018 NCAA Division I Cross Country Championships on Saturday, November 17 at the Thomas Zimmer Championships Cross Country Course is Madison, Wisconsin.